He is among the 17 victims. 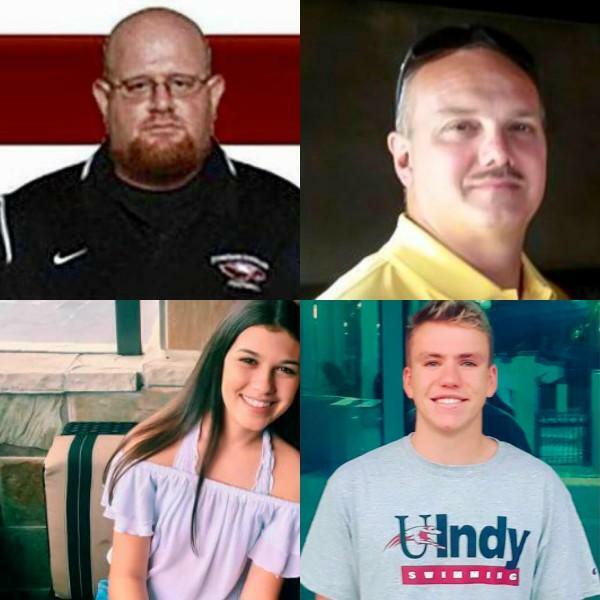 People are crediting one high school football coach for saving dozens of lives after police said he used his body as a shield when Nikolas Cruz opened fire at Marjory Stoneman Douglas High School in Florida on Wednesday. Assistant football coach Aaron Feis, 37, died Feb. 14 at the hospital after he was critically injured during the shooting. According to the Miami Herald, when Cruz started firing, Feis reportedly jumped in front of him to protect students. “All my kids thought the world of him,” Douglas head football coach Willis May said. “All the graduates that played for us and even the students, man. They’d go on and on about how good he was to them and how he always had a smile for everybody. It’s sad." May said that football players told him Feis shielded students and pushed them out of the way of Cruz. Police are beginning to release the names of the 17 people who died in the shooting, which also injured 15 people. They said the death toll could still rise. Nicholas Dworet, Jamie Guttenberg, and Chris Hixon are the three other victims police have named in addition to Feis. Dworet was a senior who was recruited for the University of Indianapolis sim team. Chris Hixon was the athletic director for the school. "My heart is broken. Yesterday, Jennifer Bloom Guttenberg and I lost our baby girl to a violent shooting at her school. We lost our daughter and my son Jesse Guttenberg lost his sister," Fred Guttenburg wrote. "I am broken as I write this trying to figure out how my family gets through this. We appreciate all of the calls and messages and we apologize for not reacting to everyone individually. Hugs to all and hold your children tight." Nikolas Cruz was arrested a short time after the shooting on Feb. 14 at a home nearby Marjory Stoneman Douglas School.